Every leader and manager at every level has a dirty little secret they’re actively hiding. Yes, the unvarnished truth is that they’re all actively avoiding conducting a difficult conversation. This likely includes you. We learned the hard way that no one wins when the leader delays confronting a tough topic. Whether you’re the first-line supervisor who has received complaints (that you’ve validated) that Bob might want to change or use deodorant, or, you're the CEO who is delaying facing the reality that her star hire is flaming out, there’s a tough conversation renting space in your mind somewhere. It’s time to free up that space and reduce your pre-conversation anxiety with some proper preparation. In the most serious of situations, the health of your team, your firm and even your reputation is being adversely impacted by your stalling efforts. By facing up to and conducting the conversation, you will be effectively eliminating an obstacle, solving a long-standing problem and/or enabling someone or some group to strengthen in their pursuit of success. And yes, you’ll free up the space that this anxiety-inducing future event has been renting in your mind. Ask yourself: what type of situation are we dealing with here? Think through the situation and focus on identifying the most likely approach or outcome. It's helpful for some managers to categorize the situation before conducting the discussion. While there’s not a universal categorization, the framework of coach, train, counsel, or empower is a useful starting point. Some situations merit coaching, where you encourage, offer feedback and challenge the individual to adjust or adapt via practice. Other situations are clear-cut examples of where skills are the issue. In this case, training is a viable approach followed by observation and coaching. In situations where an individual displays competence or mastery the situation calls for empowering them to do more. While a positive situation, many individuals are comfortable being comfortable, and you will be challenged to guide them into new areas and challenges. The purpose of a feedback or coaching discussion is to support behavior change or strengthening. Attitude is not a behavior. What is the core behavior that you and others have observed that is impacting performance? Be specific. Link the behavior to the business, not the person. Resist indicting the chronically late person as lazy or irresponsible. Focus on the impact tardiness has on the ability of the team or function or individual to complete his/her work successfully. Similarly, the CEO’s star hire may be indecisive on key talent or strategic issues. Focus on the impact the lack of a timely decision has on business performance. John, you’ve been late for your shift 3 times in two weeks. When you are late, your team members have to cover your area and their own at the same time. It adds stress to the group, increases mistakes and jeopardizes the quality of our service to our customers. Cheryl, you’ve lingered on two key decisions for the past month. The lack of decisions on these issues is pushing out our timetable. As you know, we’re playing catch-up with our competitors in these areas, and delays on our part will directly impact our top and bottom-line results next year. In dozens of workshops helping individuals learn how to navigate difficult discussions successfully, the activity of crafting and practicing the opening sentence is consistently identified as the single most important step in a successful process. Take the time to write down the issues and behaviors and form and frame and then practice your opening sentence. There’s a high degree of correlation between nailing your conversation opener and conducting an effective, constructive conversation. Plan and practice your opening sentence until it is comfortable. You’ve already assessed the situation (coaching, training, counseling, empowering). Your objective is to gain agreement (ideal) or compliance (in counseling circumstances) in support of behavior strengthening or change. While conducting the discussion is both art and science and a topic for a subsequent post, you should plan on how you will introduce the desired next steps. In some cases, it will be a dialog and in other cases a mandate. Know where you want the conversation to end before you begin the conversation. 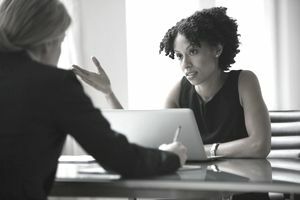 Know and be prepared to articulate whether a behavior change is required immediately or, whether it is to be observed over time and via coaching and regular feedback. The conversation isn’t the end of the process and those who master difficult conversations have a clear idea of a time horizon for the right changes to take place. Effective leaders and great managers understand the importance and urgency of difficult conversations. And while our tendency might be to stall or avoid them entirely, this approach is detrimental to everyone involved. The first step in dealing with your overdue difficult conversations is best spent as a planning session. Measure twice, cut once. And yes, we all know that prior planning prevents particularly poor performance.